I’ve heard every argument in the book when it comes to shooting does. Some old timers would have you believe that if you shoot a doe, then you’ve eliminated 14 deer from future populations. The theory is that an average doe could live up to seven years, with two fawn per year. If you kill the doe, then the potential harm to the population could result in the loss of up to 14 deer… you get the picture. I know some hunters who boast they NEVER shoot a doe. Still others only “hunt for antlers” and believe shooting a doe should never be done under any circumstance. I’m not kidding… some of these time-honored traditions continue to persist amongst certain subsets of the hunting community. Old hunting habits die hard. The simple truth is... many areas across the lower 48 struggle to keep whitetail herds in check. Wildlife biologists use mathematical formulas and the latest science to calculate deer densities. Some advocacy groups even promote “deer contraception” to quell ever-expanding populations. 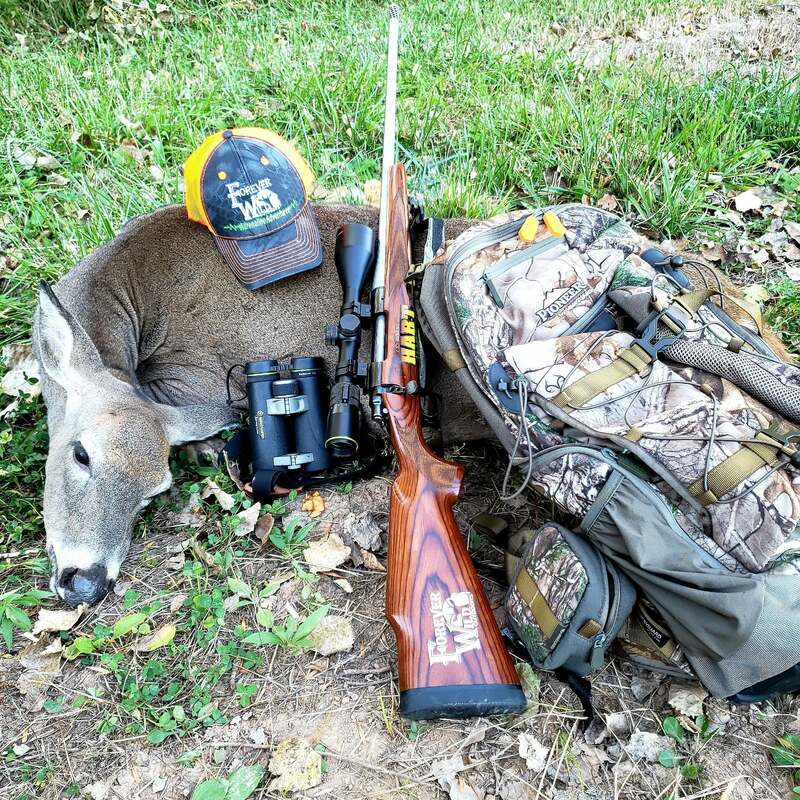 Most hunters do their best to keep deer numbers in check and report deer harvest data annually. 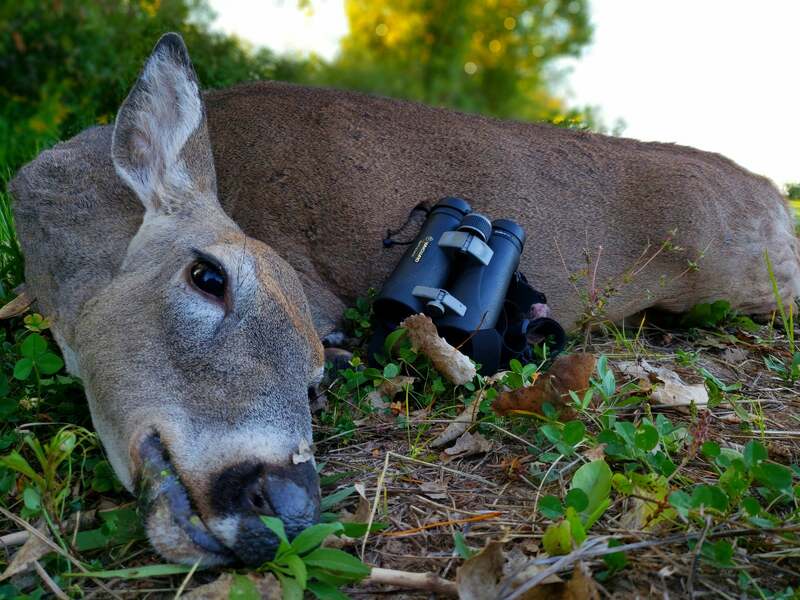 Disease, predators, old age, heck… we all know there are thousands of deer killed on our highways every year, but whitetail numbers continue to rise. In fact, populations have exploded in many areas of the country, especially where I call home in Western New York. Thirty years ago, when I started chasing whitetails, there would be many days I wouldn’t see deer. Nowadays, it’s extremely rare NOT to see a handful of deer. Don’t get me wrong… I’m not complaining. But there is a definite need to thin deer numbers in certain areas of the country. There are biologic reasons, financial reasons, and more importantly, ethical responsibilities we have as hunters and conservationists to keep things in balance. Deer are the ultimate adaptor. Not only do whitetails flourish in the countryside, they do extremely well in the suburbs. Some communities have so much trouble with deer, they have to “fence-in” every shrub, ornamental tree, and just about every inch of landscaping in their yard. There’s almost no habitat devoid of odocoileus virginianus. Each year, the crew at Forever Wild Outdoors looks forward to our summertime nuisance hunt. Quite frankly, there are so many ungulates running around the farm, we affectionately call it “Rancho Del Rightmyer”. All joking aside, it’s not a ranch, but it sure feels like it sometimes! Without a doubt, there is a continued need to reduce deer numbers on the homestead. Crop damage is an ever-present problem. I feel a duty and responsibility to help out the local farmers, deer processors, and landowners, so we diligently focus on “dry does” and quite honestly have a literal “blast” doing so. This year, I was able to secure four nuisance tags. As soon as the tiny soybean shoots broke the surface of the ground, every deer in the immediate area gravitate to the succulent, protein-rich greenery. Reducing the number of mature does is first and foremost on our “to do” list. It’s estimated an average deer consumes 1 ½ tons of food per year. Imagine a few deer grazing in a 30-acre field and you can begin to see how much crop damage can occur in a very short period of time. From July through early September, a handful of my closest friends travel to Orleans County, New York to selectively reduce deer numbers. We managed to fill ¾ of the tags in short order, but one tag remained. I decided to give my buddy Steve a call in the hopes we could have one final hunt together before the regular bow season began on October 1st. It was September 24th; just one more week remained in our “special season”. Nuisance tags in the Empire State are valid until September 30th, so there was a definite sense of urgency knowing that our window of opportunity was quickly closing. Steve and I decided our best strategy would be to sit in a makeshift ground blind overlooking a giant soybean field. The strategy worked numerous times before, so we trekked down a decades-worn tractor path, walked past an old abandoned apple orchard, and plodded toward the “Shangri La” of deer fields… a wide–open, 30-acre soybean field! Talk about ringing the dinner bell! On our way to the blind, we rounded the corner of the field and Steve immediately noticed two deer standing directly across from us. A small buck and mature doe were staring intently in our direction. Plainly stated… we were pinched! There was no way to approach the two deer without spooking them off. We decided to “circle around”, walk through the abandoned apple orchard, taking a different route, and also cutting the distance. The alternate route proved to be a wise choice. Undetected, we were able to position ourselves for a much better shot. As we edged toward the last row of apple trees, we snuck up to an opening in the overgrown tangle of brush. The view was quite different from our former location. Both deer continued to be on “high alert”. As we readied ourselves for the eventual shot, Steve quickly and quietly slipped to my right. My focus was to capture the hunt on film, so I feverishly switched to “manual” on the camera and whispered to Steve… “anytime you’re ready”. As soon as I gave Steve the “green light”, his 7mm Hart rifle sent the bullet on a direct path toward the “nervous” doe. Within the blink of an eye, it was all over. The lone doe headed west, while the small buck ran south. Within five seconds the field was devoid of any life. The big healthy doe lay motionless in the soybeans. As we walked up to our quarry, we both felt a great deal of satisfaction. We experienced a great hunt and met our goal of filling all four tags. Nuisance hunts are an essential tool in the conservation effort. Great memories, a freezer full of venison, and knowing we helped a farmer maintain his way of life… there’s no better feeling. The post Managing doe numbers… myth versus reality. appeared first on .